Kodak Alaris may be looking to sell all its businesses. It has recently put up its film business for sale. The Hertfordshire-based company that handles the manufacturing of Kodak’s photographic suppliers is reportedly up for sale. The company said that it is expecting a deal very soon as negotiations with potential buyers have reached advanced stages. Kodak has revealed that it expects to finalize sales discussions for its Paper, Photo-chemicals, and Film (PPA) unit by the end of March given the high levels of interest from prospective buyers. Kodak Alaris was founded in 2013 with the UK Kodak Pension Plan (KPP) as the company’s only shareholder. The company was formed to resolve a debt of £2.8 billion which Eastman Kodak was owing when it filed for bankruptcy. Apart from the Kodak company camera line, the firm is responsible for marketing Kodak photographic and business products. Also, Kodak Alaris and Eastman Kodak Company (manufacturer of Kodak’s film and paper) now share rights to the Kodak brand name. Kodak Alaris was also behind the resurrection of Kodak Ektachrome film which was announced in 2017. Kodak Ektachrome successfully returned to business last year and it may soon release the Ektachrome in 120 and sheet formats. 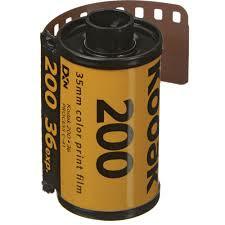 However, the news making rounds now are that Kodak Ektachrome and all other Kodak films may be getting new owners soon. An exclusive report published by Inside Imaging reveals that Kodak Alaris is now shopping itself around. According to the report, Kodak may announce the sale of its Paper, Photo-chemicals, and Film (PPF) unit in a few weeks. According to the report, Marc Jourlait, CEO Kodak Alaris, said his company has briefed potential buyers from around the world on the plans to offer of some or all of its assets for sale. He also mentioned that they are at an advanced stage of negotiations with interested buyers for the paper, photo-chemicals and film unit. According to reports, the KPP currently has about £1.5 billion in deficit. This is coming from the debt inherited from its 2012 deal with Kodak. It’s true that Kodak Alaris has been a profitable business that’s boosting the KPP’s numbers. However, the UK government’s Pension Protection Fund may have to acquire Kodak Alaris eventually. Hence, the company’s trustees decided to explore its sale to cover some of this loss. Other assets of the firm which will not be part of the current sale include Kodak Alaris, Moments, and AI Foundry. However, the sale will not take place until they get a good price. According to Nigel Moore, chairman of the KPP trustees, if the company does not get offers that reflect the true value of the business, then the Pension Protection Fund will take over ownership of Kodak Alaris. The current estimates of the value of Kodak’s paper chemistry and film business is around £34 million. It has been up for sale since January 2018, following which many interested buyers have placed their bids. The company expects to complete a sale before March 31st, 2019.